Today 'SANTEC' Compression Moulding Presses are preferred by leading Industries across the globe be cause of unmatched features, high quality, heavy duty construction & performance of these Presses. 'SANTEC' manufacture these Presses with an uncompromising Quality attitude & providing outstanding services world wide. SANTEC Engineer's are Competent enough to accommodate customer's suggestions & design the presses meeting all requirements as per International standards. In these presses, the Ram / slide / moving platen moves in upward direction (from Bottom Home Position to upward position). 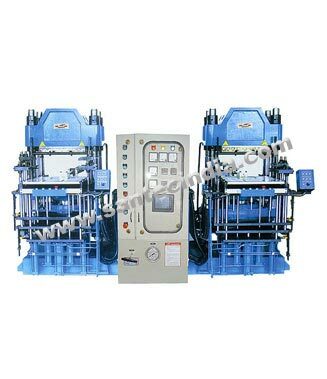 We have standard models & make these presses as per customer's specifications & requirement too.